If you own a pet, then you will already know just what an important role it plays in your life. And, you probably already know, just how costly vets' bills can be! For most pet owners, our pets are members of the family and, as such, we want to take care of them in the right way. A pet health insurance policy simply gives you affordable pet care options. So, with insurance for pets you get the peace of mind of knowing that you can afford any vet's bills that come out of the blue. There are various types of pet insurance policies to choose from in the insurance sector that offer varying levels of pet health insurance cover. So, it need not be difficult to find affordable pet care via this kind of insurance for pets. So, what do you need to know about insurance for pets? 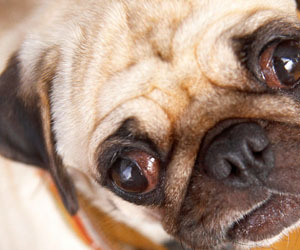 The costs of care if your pet has an accident or gets injured. The costs of care if your pet falls ill.
Cover for alternative therapies and treatments. A cash sum towards the costs of advertising and or a reward if your pet goes missing. Some pet health insurance policies will also give a cash sum to use to replace your pet if you don't find them, if they are stolen, or die. Kennel/cattery cover if you need to go to hospital yourself and you need someone to look after your pet. Legal liability cover in case your pet damages somebody or their property. Cover for vet's bills if you take your pet on holiday. Bereavement counselling to help you cope if your pet dies. What kinds of pet insurance policies can you choose? A 12 Monthly policy: With this, you buy a pet insurance policy that gives you cover against illness or injury on an annual basis. A Cover for Life policy: Here you get an insurance for pets policy that will be renewed every year, but which is designed to cover your pet for its lifetime. A Maximum Benefit policy: This pet insurance policy sets a financial limit on an illness or injury, but it comes without a time limit. The most important factors to think about when you buy any pet insurance policy are cost and cover. It is important to shop around to get affordable pet care cover as you don't want to have to spend more than you need to on any kind of insurance policy! So, make sure to look at multiple pet health insurance options and to get plenty of insurance for pets quotes. Getting the right pet insurance cover is also important as you do want to know that your pet will be covered by your pet health insurance plan if it does need treatment. Getting affordable pet care is good but it's better to make sure that the insurance for pets that you purchase will pay for your pet's treatment at the end of the day!